It's a pretty crazy combination of distance and course. Ks 1 & 2 and 8 to 10 are easier Ks than any of the 17 that follow so you need to start not too far off Half Marathon pace...knowing the hills in the back third will crush you...two hours later. That's it - push for speed as much as you can without expending so much energy that you cannot sprint downhill to Copps Coliseum after brutal hills in Ks 21, 26 and 27. 2010 got me to a similar positive split as the lead runners - the back 10K will always be 1-2 minutes above the first due to topograghy. I thought that 4:50/K was about right for the first 10K (48:20) as even in a perfect Bay Race, 4:52/K is the quickest I could possibly imagine completing the course. 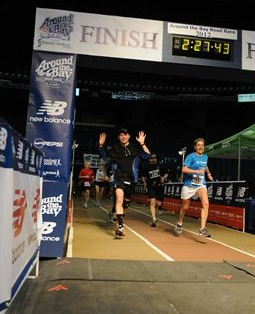 14K was the highlight of the race. 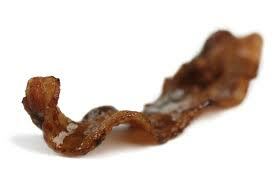 A group of good samaritans had set up grills on their front lawn and bacon was being offered to runners. Delicious. I was disappointed to find out in conversation over the remainder of the course that almost all runners had passed up the taste sensation. Crazy! ...but this good result suggests that I might be in good shape for Spring Marathon. So no rest yet. Stay tuned. wait.. are you posting last years race report four days prior to this years race?? 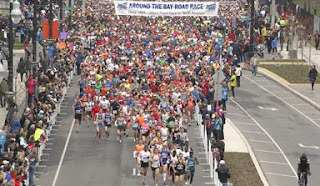 Annelizabeth wrote: wait.. are you posting last years race report four days prior to this years race?? I think this might set a new record for longest wait for a race report! wait... are you posting for just the second time this year, just to complain about another post??? 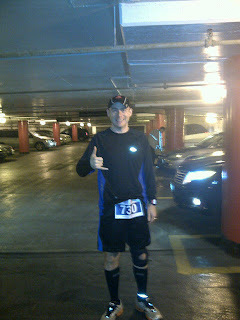 I had originally posted this race report on an external blog. Between my bad humour and entertaining comments there, the blog was starting to read like something that a person without the same sense of humour could take as a bit on the pro-alcohol end of things. Which is great on a standalone basis but does not jive with my profession. So the blog is gone. 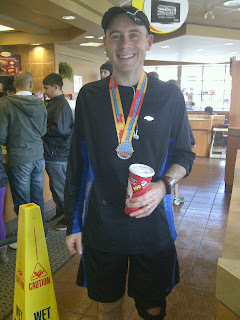 Double Bellybuster wrote: ...but this good result suggests that I might be in good shape for Spring Marathon. So no rest yet. Stay tuned. 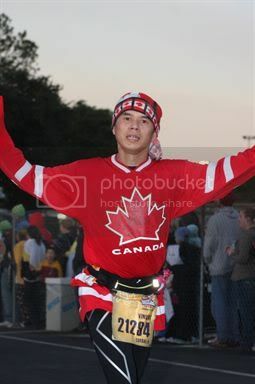 Just before May 5, be on the lookout for my Toronto Marathon Race Report from last year. 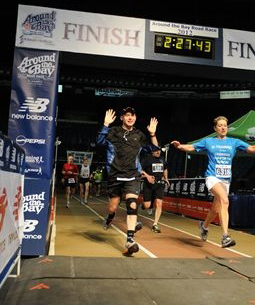 You will find out how I did just in time for me to tackle the course again!